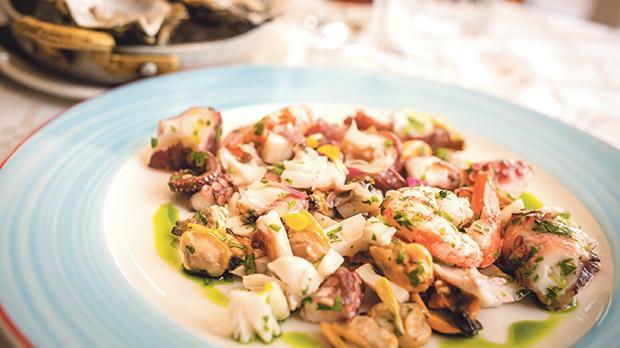 Ed Eats carries out his traditional annual round-up of the restaurants scene in Malta. Welcome to another round-up of a year of dining out. I’ve never quite adhered to a format. This started out as quite a structured list of the top experiences of the year along with the major disappointments. Every year, however, its shape shifted slightly and I suspect this will keep happening. As I age, I rant more. Some people age like red wine. Shedding the over-enthusiasm of youth, they mellow out and increase in complexity, revealing nuances that had been concealed beneath the exuberance of their early years. These are the ones whose company we enjoy more and more every year. Then there is Stilton. As it ages, it becomes more pungent and acerbic. Even the few who appreciated it when it was still young fall by the wayside. Only the very few really dig a properly aged Stilton and they’re usually drunk by the time they eat it. As luck would have it, this is the path I’ve taken. So today is more of a rambling collection of thoughts on the state of dining out in Malta and Gozo than it is a reminder of specific dinners. If you want a proper recap, there are the interwebs. I’d like to use a handful of observations to look forward, to lay out a set of expectations for the year ahead, and in general to express my hopes for the year that’s just about to yawn, stretch, and leap into action. When I started this, there was much to be said about the gene­rally low level of experience across the market. Luckily, there were notable exceptions that made dining worth our while. As time passed, there was a general improvement in the level of food, commitment, ser­vice and innovation. I recall a year that I’d summed up it in two words: Poor service. The factor that glued that year of eating out together was the mise­rable level of the front-of-house. In retail terms, this would be a shop that stocked the finest couture but had a tragically unkempt shop window and someone like myself employed to assist customers – a grouch with appalling fashion sense. Happily, there has been a steady improvement across the board. Really terrible service now stands out, and this is a good thing. Mediocre service still abounds but I would say we’re now at par with many other European countries. I’ve been scorned in France, told off in Italy and yelled at in Greece within the past six months. Maybe they’re trying to make me feel at home. Food has climbed a few ambitious rungs up the ladder. There’s been a significant increase in food quality and a pretty decent spread in variety. This year was one that, once again, brought new cuisines to our island or saw proper representation of those kitchens that had nothing more than a poor facsimile to do them justice. 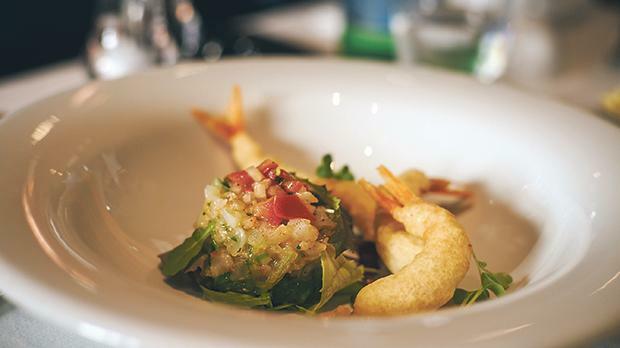 Judging by the fuss and the fanfare, it is no surprise that Valletta was true to its banner and enjoyed the lion’s share of new restaurants. It started its life feeding the most refined palates in Europe, as knights and grandmasters strutted their regalia up and down the city. It is right and fitting that the city is returning to the glory and function of yesteryear. We’re now only a couple of brothels away from where it was half a century ago. Not all the new dining options in Valletta are worth visiting. Some depend more heavily on the story they tell, their fanciful ‘concept’ than the quality of the food itself. Unfortunately, many diners are sucked into the story and allow themselves to be deceived by words rather than believe what their senses are actually telling them. But by and large, there’s some great food served inside lovely, little restaurants around the city and we’re now spoiled for choice where variety is concerned. From the tiny Cru that’s a fabulously pleasant experience coupled with a remarkable kitchen, to the formidable 64 Gun, and all the way to the fabulous N-Japanese bistro, Valletta has upped the game and we’re all happier for it. I’m naturally prone to return to restaurants I’ve been to and that have delighted me. I don’t get to do this as often as I like because I must try out different restaurants to keep this column going. When I do, the result goes one of two ways. If the place is consistent in its ability to deliver, and if possible to surprise, I’ll return. Any time I want a quick lunch that’s bound to change my day for the better, I’m back at Danny’s in Mrieħel. Every time, the food’s great, there’s something new on the menu, and the service is fantastic. When I’m up for something un­usual, food that will satisfy my curiosity and cure my boredom, I pop by Fat Louie’s for dishes that startle and delight in equal mea­sure and that’s sensibly priced. I could go on but the list of consistent restaurants is alarmingly short. Somehow, I’ve been to more places that delighted me the first time and then simply give up on their resolve and slip into mediocrity. Hark back a couple of years to when the lovely and well-mannered Mr Ramsay had two of three stars stripped from his flagship Manhattan restaurant. The inspectors felt that the delivery was inconsistent, a crime against stars if there ever was one. A rather sombre Japanese man once told me that the reputation of a thousand years can be determined by the conduct of one hour. A single action, he went on to affirm quite seriously, can undermine all the best efforts of a long period of time. These lessons would serve the ambitious restaurateur in good stead. Going ahead into the new year, there are a couple of things I’d like to see more of. One is the ready availability of inexpensive, sustainably sourced fish. 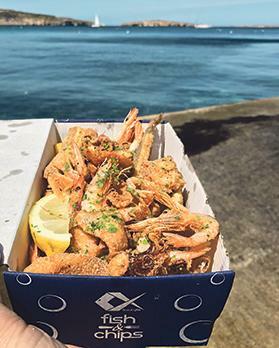 Fins and Gills in St Paul’s Bay and Sea Salt in Sliema both do an excellent job of showing us that fish need not break the bank and that the humblest of aquatic species can yield a delicious meal at a reasonable price. On an island that’s so tiny, fish has yet to attain its rightful place as one of our first sources of protein. We’re now well-served where food trucks are concerned with the glaring exception of one that’s fish-based. We ought to have street food that’s closer to our terroir, and I look forward to seeing something of the sort. My second wish for the year is an even more adventurous dining public. We’ve made large strides in this area; however, I still speak to chefs who say they’ve tried proposing more interesting and unusual dishes only to have a patronage that insists on safer, more conservative fare. The fact that you’re reading this column puts you in the more adventurous category. Spreading your enthusiasm for novelty and unusual culinary experiences with those around you is a sensible thing to do. Consider that if there are more people like you prepared to pay for exciting food, economics will dictate more res­taurants that can stimulate our palate and our imagination. So your proselytising, while good for those around you, is equally and satisfyingly selfish. Finally, I’d like to wish you a tranquil end to the year that’s about to expire and a running start to our next journey around the sun. May the New Year bring with it pleasant surprises to your palate, unforgettable dining experiences with weird and wonderful primates of your choosing, and the good health to enjoy it all.